In the wake of Hurricane Richard (which we rode out safely on board), we saw a lot of problems from the rain and flooding like gastrointestinal disease and fevers, but we also saw cases of Ciguatera toxin poisoning. It appears that the toxin can even be sexually transmitted, and babies breastfeeding from poisoned moms develop facial rashes and diarrhea so it probably is transmitted in breast milk as well. Ciguatera’s bizarre repertoire of symptoms, especially because the symptoms can last intermittently for up to 20 years (although most people recover within a few weeks), sometimes leads to a diagnosis of multiple sclerosis by physicians unfamiliar with this condition. 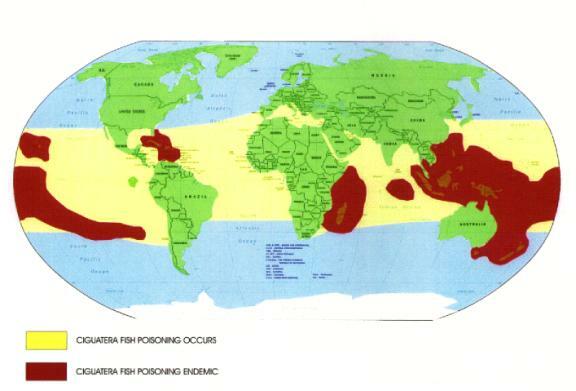 A history of travel in the tropics, or the consumption of imported tropical reef fish in restaurants outside the belt of ciguatera distribution, is therefore an important part of the clinical history for patients with atypical MS symptoms or long-term GI issues. Found in all tropical waters, ciguatera toxin is produced by dinoflagellate plankton (tiny photosynthesizing organisms) that bloom in huge numbers near river mouths, or after heavy rains and seas that wash lots of sewage and topsoil into the water and stir everything up. All these nutrients cause blooms of the dinoflagellates, and in the weeks after big storms it is especially dangerous to eat grouper, snapper, and other large predatory reef fish that quickly acculumate dangerous levels. There is no known treatment for ciguatera, except for supportive care. Most care is focused on treatment of symptoms (pain, fever, etc), and by trying to flush the toxins with various herbal remedies or IV mannitol (differing opinions on the efficacy of mannitol). There is also no practical checmical assay to test fish either. Avoiding ciguatera means not eating large reef fish, BUT there are some local methods used both in Haiti and here in Honduras for trying to detect ciguatera. The most common we have seen is that pieces of the fish are placed on an anthill, and if the ants reject it, so should you! Also, it is widely believed that cats will show symptoms after ingesting poisoned fish, and that flies will not land on contaminated fish. Other traditional remedies include bedrest after a guanabana enema, bleeding and porting directly from the GI tract, cleansing with a dove (Santeria ritual), and tea made from mangrove buttons (high in vitamin B, which may help induce diuresis and more rapid excretion of the toxins). A busy week at our clinic in Oakridge…ciguatera on top of everything else! And now another hurricane is on its way–this one might be a big one if it hits here..could be a lot more ciguatera cases on the way if this keeps up. So far, in Oakridge alone, where the primary protein intake is fish and Ciguatera is a higher risk, we have distributed over 12,000 vitamins. If vitamin-induced diuresis helps, hopefully this will reduce the symptoms of some of the sufferers there. Keeping the risk of contracting food poisoning low should include, the following precautions should be observed: There is No real prevention as yet known. Usually lightning does not strike same place twice, but it’s still like Russian roulette. Best not to eat or avoid eating fish that have a local reputation for causing food poisoning (e.g. Moray eel ;Barracuda ;Grouper ;Kingfish ;Jacks ;Snapper ;Surgeonfish ;Parrot fish ;Wrasses ;Narrow barred Spanish mackerel ;Coral trout ;Flowery cod. Others can apply locally. 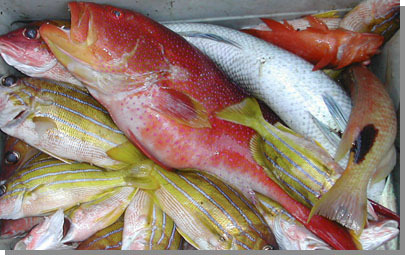 Red emperor; sharks, moray eel, red bass, bream, trevally, grouper, etc.). Get advice from fishers about which fishing grounds are safe; Fish eat infected microalgae called dinoflagellates usually attached to rocks and digest them. Avoid areas for fishing if a toxic bloom has recently happened in this area. Ask locals. 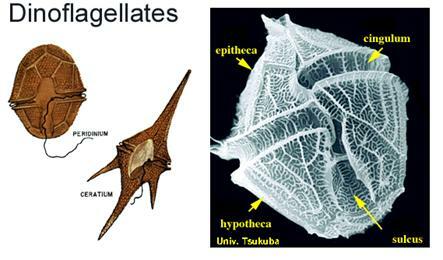 Ciguatera fish poisoning (or ciguatera) is an illness caused by eating fish that contain toxins produced by a marine microalgae called Gambierdiscus toxicus. People who have ciguatera may experience, extreme diarrhea, nausea, vomiting, and neurologic symptoms such as tingling fingers or toes. They also may find that cold things feel hot and hot things feel cold. Ciguatera has no cure. Symptoms usually go away in days or weeks but can last for years. People who have ciguatera can be treated for their symptoms Use of IV mannitol: If a patient meets the criteria for a diagnosis of CFP, consumed the implicated species within the past 48–72 hours, and there are no contra-indications to its use, then treatment with IV mannitol is recommended. Repeat treatments may be necessary if symptoms return. 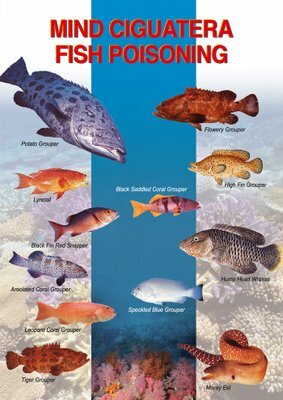 Be careful with large reef fish (i.e. over 3 kg), and avoid them if possible. Wherever feasible, select smaller fish since toxicity is often proportional to size; 1.8 kg is best size. Old wives tales; Do not rely on flies, ants or coins, look, smell, or taste to detect a poisonous fish — these techniques have misled many people in the past. After suffering from a case of fish poisoning, avoid eating any kind of fish or other seafood for at least a month and avoid alcoholic drinks; ingesting alcohol and any kind of fish] can cause an augmentation or relapse of symptoms. Ingesting caffeine, nuts, chicken and pork, or experiencing physical over-exertion or dehydration have also been associated with symptom recurrence or augmentation. A relative of mine suffered with this for over 9mths, being only able to have liquid supplements, as could not keep down food; and later could eat No chicken products or stock for nearly 2 yrs. The case was by no means extreme but shows how long symptoms can persist. Note there is no fish poisoning season. You can catch and eat a fish that contains enough toxin to give you food poisoning at any time of the year. Kits are expensive given they only have a short shelf life and only do 1 fish and sometimes give false positives. My husband and i both have ciguatera poisoning, we live in Colorado. We are 15 weeks into it and its been a nightmare!!!! The food triggers we have to avoid are ridiculous the extreme along weight loss and just surviving one day at a time through the symptoms!! An Er doc suggested we search out a specialist but all the research and articles just disappointing that it really has to run its course and avoid avoid avoid this and that! Very very frustrated! Looking around, it seems like the kitty-cat test is as reallbie as any to figure out if your catch has the bug which is to say it isn’t reallbie at all. But at least now there is a reason to actually have a cat. Im new to this illness having contracted it in Thailand. I am reading that Rosmarinic Acid is supposed to help. I have had ciguatera poisoning since 1992 and just found out now that that’s what I’ve had all these years.. I got very sick after eating ceviche and sea bass in Cabo San Lucas after a hurricane.. was bedridden for four months and never knew what was wrong. Eventually in 1997 was bedridden again with multiple viral illnesses and then was diagnosed with fibromyalgia.. but they were wrong.. I’m in Colorado and finally saw a homeopathic dr who has seen and diagnosed ciguatera before and luckily when I told him exactly what happened in Mexico ( because I always told every dr I saw how sick I became there and after I returned home and eating fish) he knew exactly what was wrong.. started homeopathic treatment with him a few weeks ago and having a very hard time.. I just don’t think it’ll ever go away completely.. I have migraines, severe abdominal pain, bouts of nausea and vomiting, body pain, muscular and joints, joint inflammation, asthma and just feel so sick.. and acid reflux, numbness in some areas, back pain.. dizziness on and off, it’s just awful.. Going on 13 months with host of neurological symptoms from Ciguatera. My exposure was probably both Caribbean and Pacific. 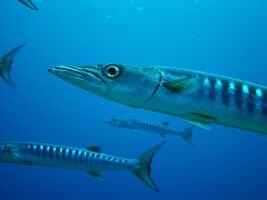 The final straw that broke the camel’s back was pacific wahoo caught off baja. I had GI illness and went to the ER the next day, no one caught what it was. I have had autonomic nervous system dysfunction (Vagus nerve affected apparently) – heart rate and blood pressure out of sync. Episodes of tachycardia and high heart rate, food does not digest well, numbness in hands and face, burning feet, fatigue, mental fog, feeling very blue. I have ringing in my ears at times and episodes of dizziness. When I talk the dizziness worsens. Went undiagnosed for 1 year. Changed diet immediately with suspicion. I had been chasing this neurological problem and the vagus nerve dysfunction the entire time ($8K in medical tests). Some better on restricted diet, but still not the same as before this illness. My life has been drastically changed by ciguatera. Living with ciguatera is very hard. I am hopeful that I will make a full recovery, but the reality of the situation is far from that. I have started a Ciguatera Information and Support Facebook page if anyone else would like to join me there for discussion and information sharing. The group is private, just ask to join and I will approve.